Last weekend was the MECA (Multicultural Education and Counseling for the Arts) Dia de los Muertos festival. 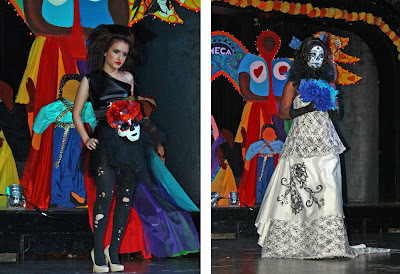 This year, they added a new kick-off party on Friday night called Calavera Rendezvous. 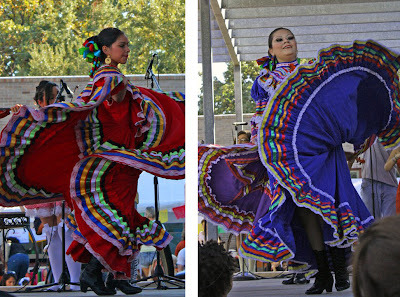 The event included a great lineup of singers and dancers, a fashion show by the Art Institute of Houston, an altar exhibit, a silent auction of Day of the Dead skull sculptures, yummy tamales, arroz, frijoles and empanadas! 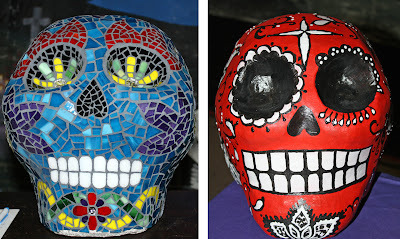 My sister and I donated skulls for the auction and together we brought in more than $400 (mostly my sister)! Hers is the blue mosaic glass one above. Mine is the red skull in papier mache and acrylic paint. I'll do another post about my skull sculpture soon. The fashion show was really fun. I was pretty excited to see one of the models wearing my mask! (That's her up there wearing all black. She was a tiny little pixie of a girl-- so cute.) 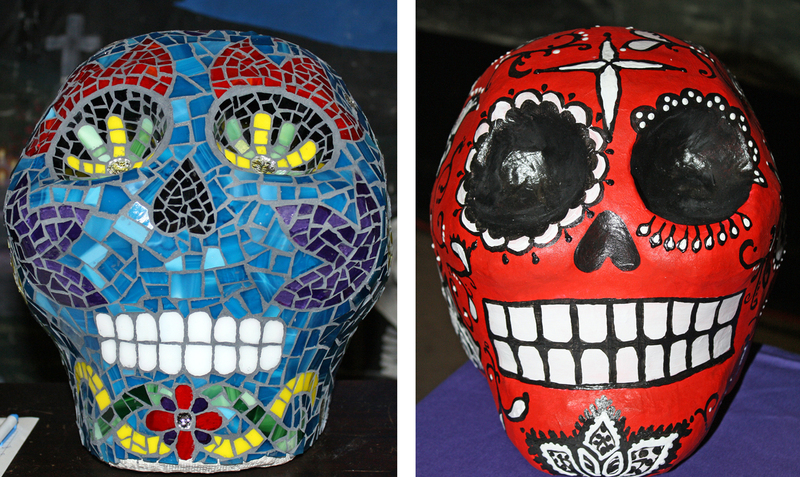 I loaned MECA the two Day of the Dead masks I made last year for the MOCAH gala. Right now, they are part of the community altar at MECA. 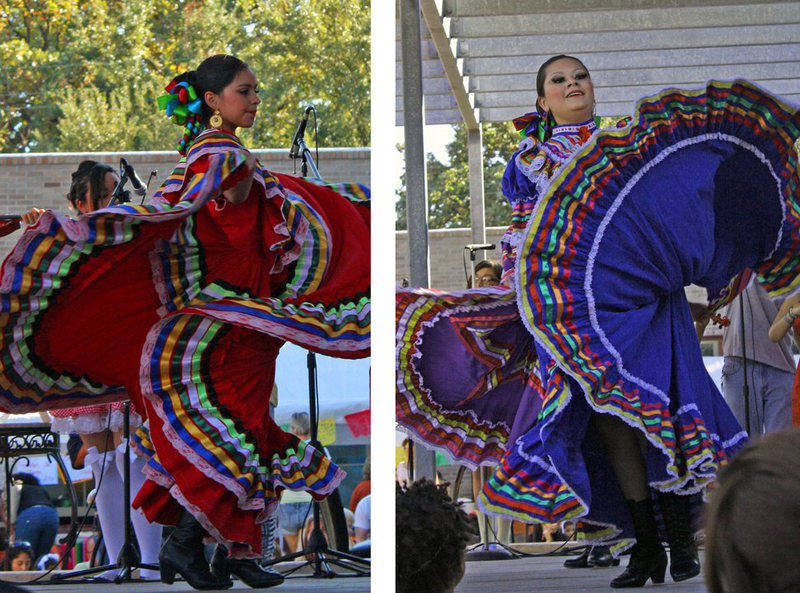 We also attended the outdoor festival on Sunday afternoon where we watched Mariachi MECA and MECA Ballet Folklorico and enjoyed delicious chicken mole, tacos al carbon and mango agua fresca! Can't wait until next year! Thank you LeeAnna! That's very sweet. 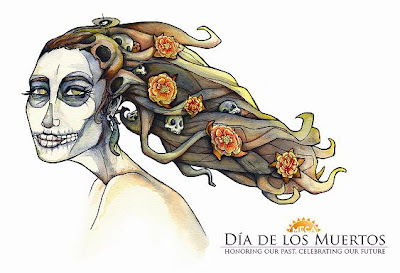 If there's a Dia de los Muertos event near you next year, try to go and experience it first hand!